Albert Nelson Marquis had operated the A.N. 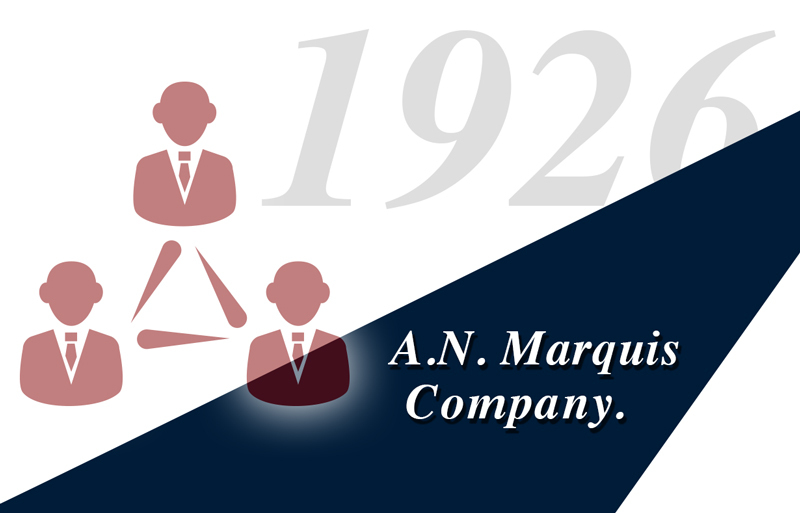 Marquis & Company as the sole owner for 40 years. Having recently turned 71, he becomes concerned over the fate of Who’s Who in the event of his death. He worries the book might fall into unscrupulous hands that will diminish the high standards he has worked so hard to build. Marquis decides to attempt to sell Who’s Who to a publishing house and he invites bidders from across the country to consider purchasing. Two prominent Chicagoans and business magazine publishers, Wheeler Sammons and A. W. Shaw, hear about the deal and are keenly interested in keeping the company in Chicago. Marquis sells them controlling interest but, demonstrating his love for the publication, keeps 20%, along with the post of Editor-in-Chief. The company is incorporated as the A.N. Marquis Company. PrevPrevious1918 — Former President Theodore Roosevelt’s biography reaches 104 lines!